Want to put into practice our oval yo-yo tutorial? 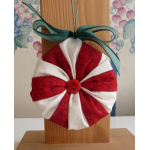 Well, this is a quick and fun Christmas ornament for you to try. 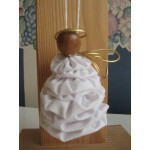 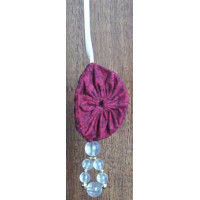 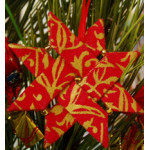 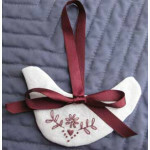 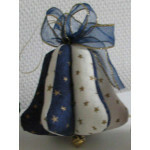 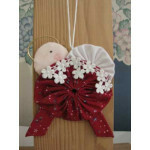 Make each ornament out of the same fabric, or mix and match as you please. 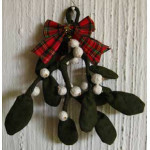 Combine with beads or other embelishments for your own personal touch!